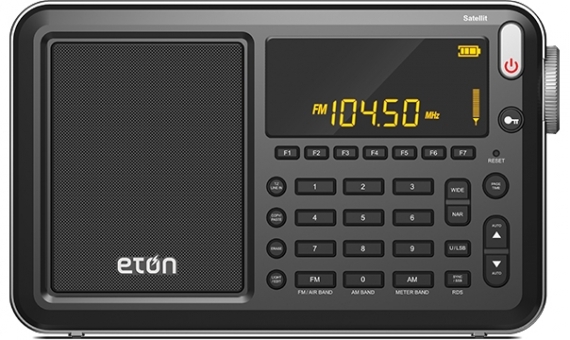 Several SWLing Post readers have been asking about the availability of the new Etón shortwave radio product line. This entry was posted in Manufacturers, New Products, News, Radios, Shortwave Radio and tagged Eton Availability, Etón Field, Etón Mini, Etón Satellit, Eton Traveler III, New Products on June 23, 2014 by Thomas. I too am a little confused. The DAB edition of the Eton is listed in a review in the 2016 edition of the WRTH. Although under the name Soulra I can’t find it listed to purchase anywhere. Stephen, Are you in Australia or New Zealand? If so, I doubt you’ll find one through a local retailer like Jaycar. I think you would have to order one of these through a European distributor. I just checked at ML&S and Amazon.co.uk, though, and was unable to find one. Perhaps you should contact Eton directly and ask this question? In the uk, digital radio is becoming a standard, which is more than just digital tuning, some BBC radio stations only work on digital. The Soulra brand seemed to incorporate this feaute, over and above the Eton brand, but I can’t buy the brand anywhere. Amazon, for example, shows only the ‘Eton’ brand for sale when I put ‘Soulra’ into my internet search engine. Have you by chance received any updated availability for the Mini? Looks like the Mini may have been pushed. The only place I see the Mini listed is on the LL Bean website and they show it being available on Aug 16. I hope someone reviews the Satellit soon after release. Looks like a nicely designed radio from the picture and specs. Wondering how it will perform compared to the 750. Just FYI Thomas, I sent Eton an email in late May asking when the Satellit would be available to buy and the response I received back on May 29 was the Satellit would be available to buy in late July from retailers. The email was from the Operations Coordinator so I guess the release date has been pushed. Will you be reviewing the Satellit? Yes–I think the date was moved back a tad. I’m sure I’ll get a Satellit to try, but I don’t know if I will review it. I feel like it’s a conflict of interest (at least a perceived one) after Eton started supporting my non-profit. Their CEO is now a good friend–he’s an amazing philanthropist and a great guy. Truly genuine fellow. He could care less if I review it–he’s a big believer in speaking your mind–but I might simply post others’ reviews. I may very well do an overview and/or post some recordings. I expect it’ll be a good rig. Looks like they have updated the price for the Satellit to $229. I’ve been looking forward to the release of the Eton FRX5, which I believe is being released in July. No clue on any official dates though. I’ve sent two emails to Soulra in both June and July and so far not even got a response about this! I’m heading off to Zambia in Late October and want to give one of these FRX5’s to my old cook who lives in a remote village with no mains electricity, but plenty of lovely African sun. I enquired of the distributor in UK and they said late November, which is of course hopeless for me! If you hear of any coming up in America before then, do please let me know!